Few would have forgotten, especially amongst lawyers, the position of the Bar Council at the Extraordinary General Meeting called on 11 May 2012, when it passed a resolution that supported Bersih 3.0’s call for free and fair elections and condemned alleged “excessive” and “indiscriminate” police force against the rally organised by Bersih 3.0 earlier. Which is why when the Bar Council conducts its own annual elections for new members to the Council pursuant to the Legal Profession Act 1976, the desire for similar levels of scrutiny of the electoral process cannot be taken lightly, much less dismissed outright, like some members of the Malaysian Bar would want it to be. On 2 December 2014, the results of the Bar Council Election for the 2015/2016 term was announced. Twelve “new” names has been elected as the new office bearer of this statutory body, though some of the names are not so new, as they have been re-elected time and again for the past many-many years. But questions remain as to whether the whole electoral process had been conducted in a transparent manner and whether the process has not been abused by certain irresponsible and invisible hands. These question lingers and would continue to linger, especially in the light of the highly suspicious manner in which the whole process, from vote collection and tallying, to the announcement of the final results, was conducted. Candidates were not allowed to witness the whole procedure when the ballot papers were being counted, unless they sign undertaking letters stating that they would not record what they witness during the process. One such candidate, Mohd Reza Hassan, exercised his legitimate right to refuse to sign such a letter, and was barred from observing the vote counting process. The Bar Council is the executive body of the 16,000 practising lawyers of the Malaysian Bar. As such, the influence of this Council is very important in Malaysian society, particularly when it comes to matters of legal significance. The public have every right to know whether this body, who some would say play a very significant role in ensuring that all citizens know and respect rule of law and adhere to our Federal Constitution, in particular the basic structure thereof, adheres to basic standards required to be adhered to by any statutory body existing within Malaysia. Such standards, if we are to show the world that we are a world class, thriving democracy, must be no less rigorous than that demanded of the Election Commission by Bersih 3.0. It is thus puzzling when Minister in the Prime Minister’s Department, Nancy Shukri, when asked about this issue, stated that the Government would not get involved and that disputes arising between those who contest and the Bar Council office bearers in charge of conducting Malaysian Bar elections should be treated as an internal matter of the Bar. Alvin Toefler, noted sociologist and author of “Future Shock”, asserts that all public bodies conducting democractic processes must utilise electronic and communications technology in their implementation in an ever-more-crowded world. It is highly doubtful that the Bar Council has met even the minimal standard in respect of these democratic processes. For one, elections to the Bar Council are conducted fully by postal voting although Bersih 3.0 has time and again rejected postal voting altogether and has highlighted the apparent flaws in any system wherein voting by post is allowed. One of Bersih’s complaints, for example, was that postal voting conducted for those in the army and police lacked transparency. Now, the Election Commission, in response to this complaint, has changed their methods and now political parties can witness how the postal votes are prepared, sent to voters, collected, counted and tabulated. They even have the right to witness and object. But this is not so when it comes to the Bar Council elections. The Bar Council merely prints ballots, sends them to all of the approximately 16,000 Members of the Bar, and lets them deliver their vote by post and by hand. Anyone can even send in a vote on a Member’s behalf, no problem. Members and the wider public at large are expected to trust point blank how the three scrutinisers appointed pursuant to the Legal Profession Act 1976 handle the counting. No candidate or their representative is afforded an opportunity to be present to witness the counting in person, ostensibly due to “security risks”. The best the Bar Council can do is afford them an opportunity to witness the tabulation by closed circuit television in building separate to that where the ballots are counted, and even then after signing a letter of undertaken, a requirement that is not even sanctioned by any law. And during the counting process, it is said that the closed circuit camera zooms into a single table where ballots are counted even though it is known that ballots are counted at least eight different tables. Also, nobody knows whether or not the three actual scrutinisers are even present during the counting process. The Bar Council has even failed to modernise its electoral procedures technologically by allowing only postal votes, and the Bar Council does not even provide for sealed containers into which voting ballots may be deposited, quite unlike our Election Commission, which provides for even transparent sealed containers. The electoral roll of Malaysian Bar members who are eligible to vote itself is only irregularly vetted for accuracy and up-to-date relevance. 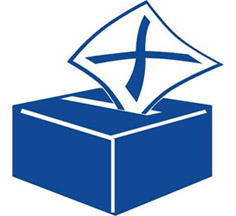 Most members receiving ballot papers by mail, as high as eighty per cent of the electorate, do not respond and no effort is undertaken by the Bar Council to encourage members to vote. Where is the outrage shown by the likes of Bersih 3.0 when election procedures for general elections conducted by the Election Commission were similarly questioned? Complaints regarding the above flaws and more have all but fallen on deaf ears, as evidenced by the statement made by Nancy Shukri on this issue. The writer would like to highlight the case of elections conducted in the United States, where those in charge at least provide online websites in which secure absentee voting may take place. Why could this not be replicated here in the case of elections to the office bearers of the Malaysian Bar? The Malaysian Bar President Christopher Leong said in his press statement on this matter on 4 December 2014 that the Bar Council has gone beyond the law in developing the abovementioned procedures, in the name of promoting transparency. This is laughable. Sections 49 and 50 of the Legal Profession Act 1976, which provides for elections to the Bar Council, specifies a very low standard of voting, namely that all votes should be postal votes and that the three scrutinisers appointed are not subject to any transparency requirements at all. The results of elections announced by the Bar Council are expected to be taken at face value. What a joke! Further, one would expect that, the Bar Council, being a professional body committed to democratic ideals and the rule of law, go further and not only open the vote counting process to public scrutiny, but pass a resolution demanding that the Legal Profession Act 1976 be amended to reflect this, and organise a walk along the lines of the recently concluded Walk for Peace and Freedom to demand Parliament enact such changes. It is also cringe worthy that the Malaysian Bar president does not believe that others, in particular non-members of the Bar, should be allowed to demand scrutiny of the Bar Council election process. This is akin to our Election Commission barring foreign observers from witnessing our general elections, as they are non-citizens. One can imagine the response were this to be the case in our general elections; surely Bersih 3.0 would go berserk! The European Community regularly permits outside observes to witness its elections, why not the Bar Council in the case of fellow Malaysians? Do they feel above such scrutiny, simply because they are lawyers? The Council needs a competent auditor to conduct their elections, someone who is beyond any shadow of doubt, corruption, or random breakdown in the voting process. In fact, the Bar Council needs more than this, the whole electoral process must be reformed to ensure greater transparency. If the Government, as represented by Nancy Shukri, will not see the need for this, then maybe it is time for concerned members of the Malaysian Bar as well as other segments of Malaysian society, organise a rally to pressure the Bar Council in respect thereof, much like Bersih had done in respect of the Election Commission. After all, Malaysia must move towards becoming a world class democracy and this must not only be reflected in elections to form a Government, but also all statutory bodies, such as the Malaysian Bar, must it not? * Azril Mohd Amin is a lawyer and Executive Director of Center for Human Rights Research and Advocacy (CENTHRA), while Faidhur Rahman Abdul Hadi is a lawyer and an activist member of Concerned Lawyers for Justice (CLJ). ** First appeared in The Malay Mail Online, 17th December 2014. December 17, 2014 in Perlembagaan Persekutuan.